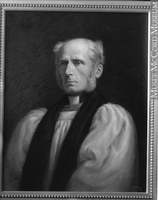 FAUQUIER, FREDERICK DAWSON, Church of England clergyman and bishop; b. probably 29 July 1817; m. c. 1846 Sarah Burrowes (Burroughs), and they had at least two sons; d. 7 Dec. 1881 in Toronto, Ont. Records concerning Frederick Dawson Fauquier are few and little is known of his antecedents. He is said to have been born in Malta, where, presumably, his father was in the service of the British government. At the time of his death it was stated that he had been orphaned in childhood and sent to England as the ward of an aunt “who had rooms allotted to her in Hampton Court Palace”; Thomas Fauquier, a member of the royal household who with his wife had apartments in this palace until his death around 1841, was probably an uncle. Fauquier seems to have been educated in England, perhaps in Richmond (now part of Greater London) at an academy for boys whose parents were serving abroad. Some basis for the suggestion that he was an orphan is provided by the fact that he did not proceed to university but in 1836 immigrated to Upper Canada, where he farmed at East Zorra, near Woodstock. While at East Zorra, Fauquier came under the eye of Edward Huntingford, whose father had built a church for the settlers and who himself ministered in it after his arrival from England in 1844. It has been claimed that when Huntingford returned to England in 1845 he urged Fauquier to seek ordination so that he might succeed to the charge, but this story does not seem completely in accord with the evidence. Fauquier went to study under Alexander Neil Bethune* at the Diocesan Theological Institution, opened in Cobourg in January 1842. Its curriculum required a three-year residence and, if Fauquier spent the full three years there, he must have been one of the institution’s first students as he was made deacon in 1845. He was ordained priest in 1846 by Bishop John Strachan*, his stipend being paid by the Society for the Propagation of the Gospel. He continued to farm and seems to have married about this time. His ministry in East Zorra, his only parochial charge, seems to have been quiet and effective but not otherwise outstanding. When the establishment of the diocese of Algoma was being discussed in 1872, Fauquier was nominated by the Canadian bishops for election as bishop, apparently on the suggestion of his diocesan in Huron, Isaac Hellmuth*. A contemporary noted that few would have considered “this gentle, simple, modest incumbent of a small country parish” for a bishopric. That Hellmuth, “a professed Low Churchman, should have put forward in so marked a manner almost the only High Churchman in his diocese, spoke volumes in his favour.” But it was a time when tensions over churchmanship were strong and sometimes bitter. Fauquier was remembered to have been a pupil of Bethune, then bishop of Toronto, and he was rejected by the laity. 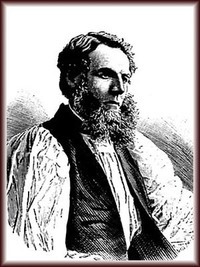 John Philip DuMoulin, rector of St Thomas’ Church, Hamilton, was elected, but after the synod had dispersed he declined the honour. A second session of the electoral synod was held in 1873, and Fauquier, who in the mean time had been created archdeacon of Brant, was elected on the third ballot. The new bishop of Algoma was consecrated in Toronto by the metropolitan of Canada, Ashton Oxenden*, on 28 Oct. 1873 in St James’ Cathedral. Trinity College, Toronto, conferred an honorary dcl upon Fauquier the following year. Immediately after his consecration he left for Collingwood and, travelling by lake steamer, arrived at Sault Ste Marie on 6 November. His diocese comprised a vast area stretching from the head of Lake Superior to the Muskoka region, within a hundred miles or so of Toronto. The population was sparse and missionary work had been intermittent, concentrated chiefly in the vicinity of Prince Arthur’s Landing (later renamed Port Arthur and now part of Thunder Bay, Ont. ), Sault Ste Marie, Manitoulin Island, and Muskoka. There were but seven clergy and nine churches. Partly because of his wife’s chronic ill health, but also for convenience, Fauquier lived during the winter months in Toronto. Thence he was able to visit the southern part of his diocese and to carry on the fundraising tours which plagued the lives of missionary bishops. One of his constant complaints was that an adequate endowment fund had not been established for the diocese before its foundation. While in residence at Sault Ste Marie, Fauquier continued his practice of farming the property surrounding his home with the help of a hired man. He travelled regularly throughout his huge diocese, and on going into a community visited all the inhabitants, by whom he came to be well known and greatly loved. Fauquier’s wife fell seriously ill in the fall of 1881 and they set out for the south in search of warmer weather. The journey was never completed; she died on 4 November at her brother’s home at Mount Vernon, N.Y. The distraught bishop returned to Toronto, where he himself died on 7 December. 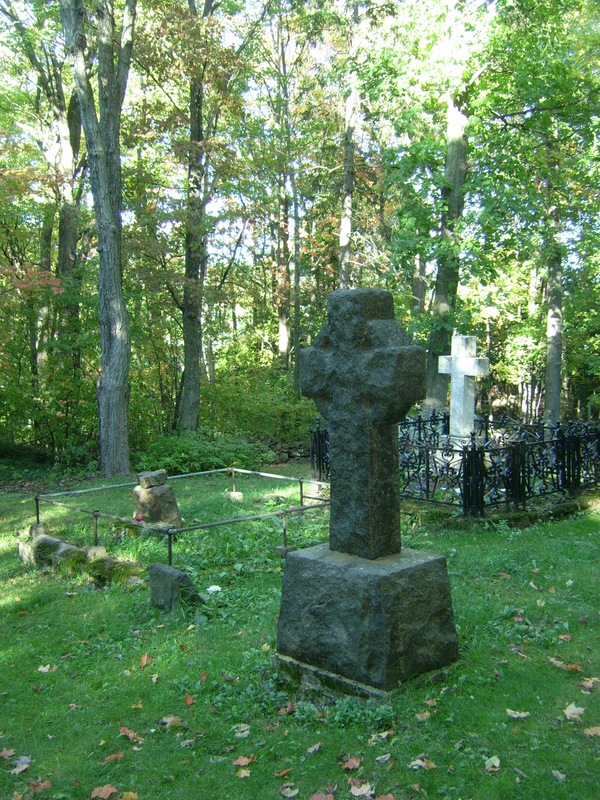 A few hours before his death he wrote sadly to Wilson of the deepening void created by his wife’s passing: “How true it is that we seldom appreciate our blessings and privileges until they are taken from us.” The bodies of Bishop and Mrs Fauquier were taken to Sault Ste Marie, and were interred in the Shingwauk cemetery on 22 May 1882. During his brief episcopate Fauquier laid the foundation for later work. By the time of his death there were 34 churches, seven parsonages, and an impressive see house at the Sault, the house built largely through the generosity of the Baroness Burdett-Coutts. Perhaps more important, he had gathered around him 13 clergy and a number of lay workers who shared his vision for the church in Algoma. 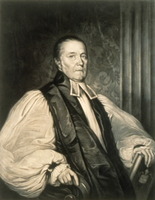 He was succeeded as bishop of Algoma by Edward Sullivan*. 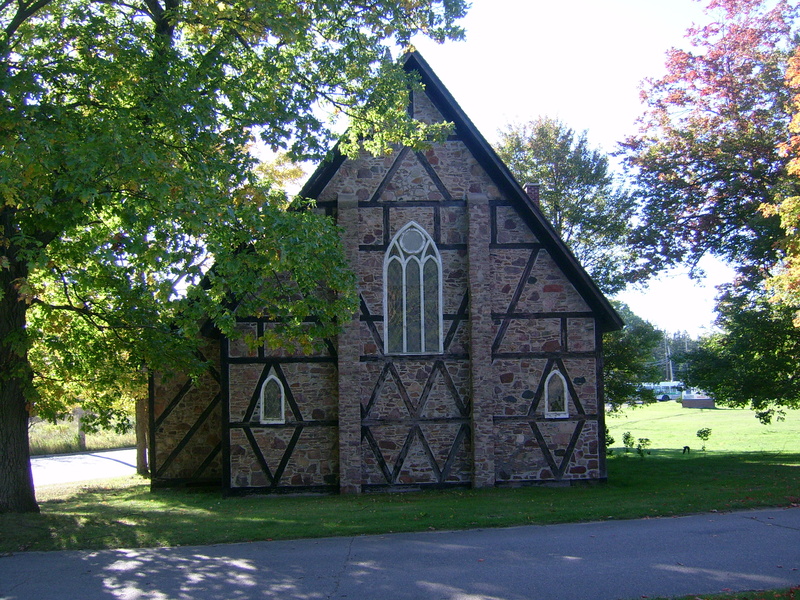 Anglican Church of Canada, Diocese of Algoma Arch. (Sault Ste Marie, Ont. ), F. D. Fauquier, Diaries, 1878, 1880, 1881. A. N. Bethune, Memoir of the Right Reverend John Strachan, D.D., LL.D., first bishop of Toronto (Toronto and London, 1870). Church of England, Ecclesiastical Prov. of Canada, Synod, Journal of the proc. (Quebec and Montreal), 1874, 1877, 1880. Algoma Missionary News and Shingwauk Journal (Sault Ste Marie), 1877–81. Evangelical Churchman (Toronto), 15 Dec. 1881. 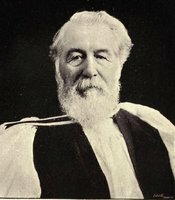 C. H. Mockridge, The bishops of the Church of England in Canada and Newfoundland . . . (Toronto, 1896). C. F. Pascoe, Two hundred years of the S.P.G. : an historical account of the Society for the Propagation of the Gospel in Foreign Parts, 1701–1900 . . . (2v., London, 1901). O. R. Rowley et al., The Anglican episcopate of Canada and Newfoundland (2v., Milwaukee, Wis., and Toronto, 1928–61). 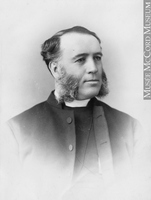 D. M. Landon, “Frederick Dawson Fauquier: pioneer bishop of Algoma,” Canadian Church Hist. Soc., Journal ([Toronto]), 11 (1969): 75–87. F. A. Peake, “FAUQUIER, FREDERICK DAWSON,” in Dictionary of Canadian Biography, vol. 11, University of Toronto/Université Laval, 2003–, accessed April 21, 2019, http://www.biographi.ca/en/bio/fauquier_frederick_dawson_11E.html.